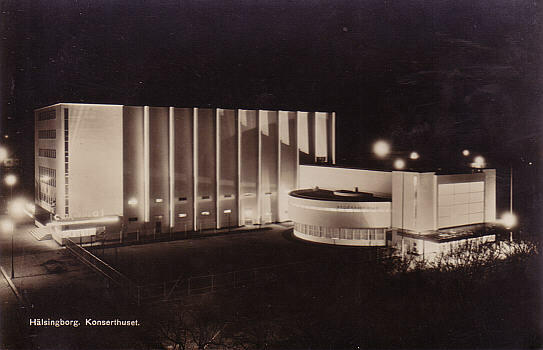 Concert hall, built 1931-1932 by Sven Markelius. Opened 12 Nov 1932. Home to the Helsingborgs Symfoniorkester. 903 seats.